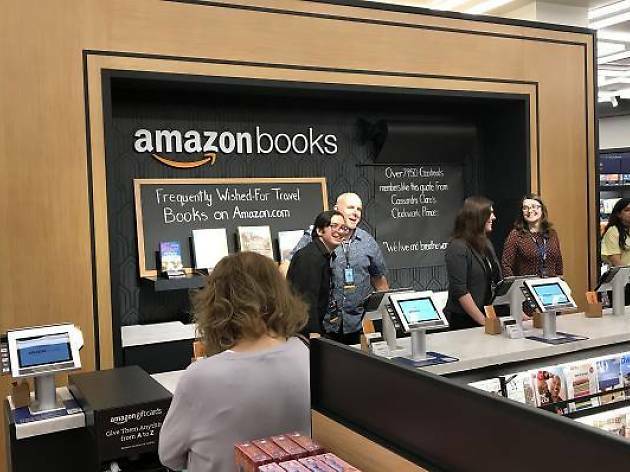 Back in May, we took an early look at Amazon's first brick-and-mortar bookstore in New York, and found that shopping in the space is a bit strange, to say the least. The store has sections promoting books that have received Amazon star ratings of 4.8 or more, and another “quick read” section which includes titles that Kindle users finished in less than three days. Today, Amazon's second location in the city opened at 7 West 34th Street, right across from the Empire State Building. The debut comes just a day after the company became the official owner of Whole Foods, which brought price cuts and discounted Amazon Echoes to the grocery chain. After disrupting the retail industry for years, Amazon has recently rolled out a sizable armada of IRL spaces. 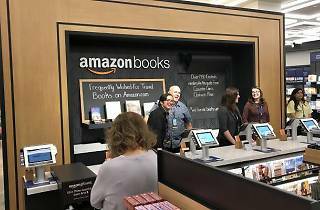 Since opening its first brick-and-mortar bookstore in Seattle in 2015, the e-commerce giant has opened locations in Chicago, San Diego and Portland, Oregon, with many more to come. The purchase of Whole Foods, which has more than 450 locations nationwide, gives Amazon plenty of real estate to roll out new tech initiatives, like the no-checkout Amazon Go concept the company announced last year. Amazon's new shop is definitely worth checking out, but you'd be better off heading to one of NYC's best independent bookstores to stock up your bookcase this fall.